Who is Asia’s top robo-advisor? 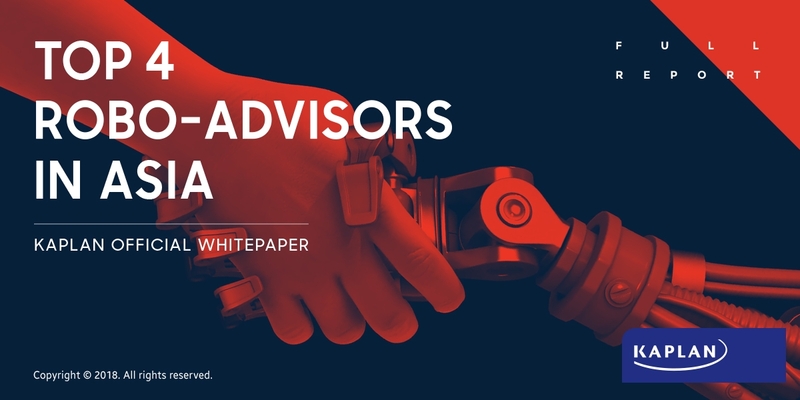 Download this independent report from world leading financial education platform Kaplan, and Singapore Management University, which analyses the methodology behind Asia’s top 14 robo-advisors. This one-of-a-kind analysis, reviews the strengths and weaknesses of robo-advisor models. Most robo’s use an extremely scattered variety of investment algorithms and methodologies. Academic research as yet has covered performance aspects but not the risks associated with generating those returns. This study proposes a new method to evaluate robo-advisor performance and using the ‘Portfolio Allocation Models’ Questionnaire’ it distinguishes major robo-advisory portfolio construction models and segments them according to the level of complexity and sophistication. Please fill in the form fields.